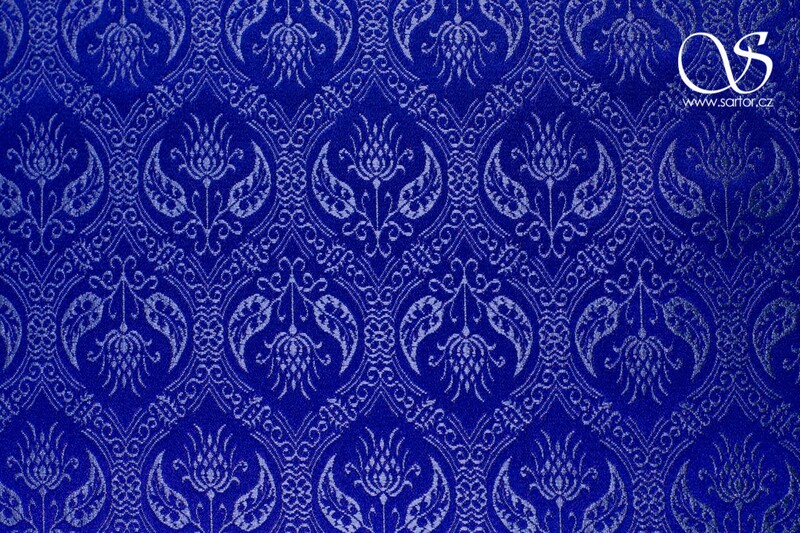 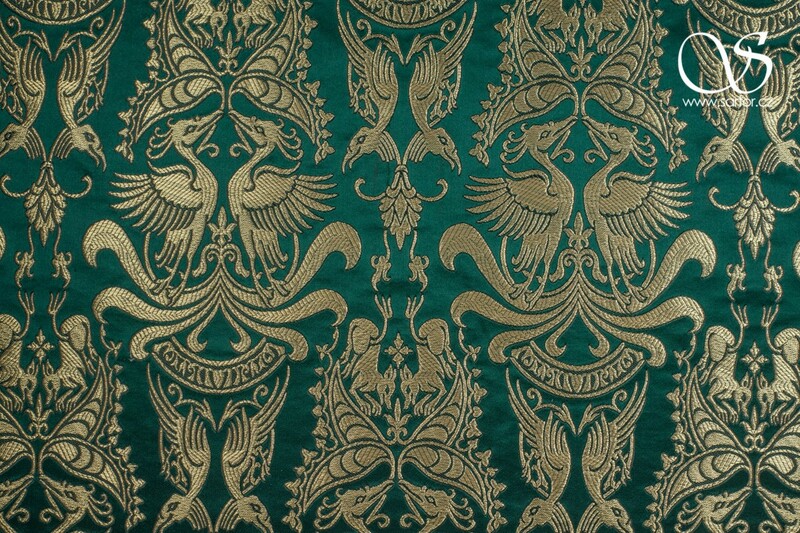 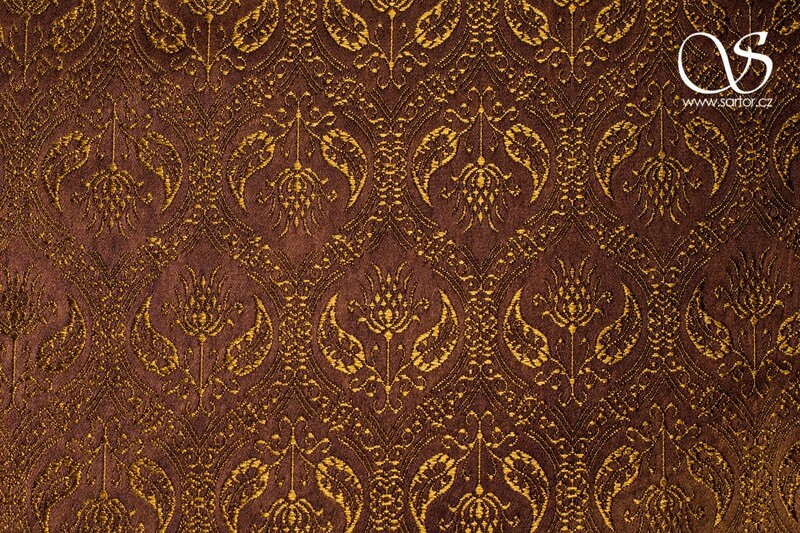 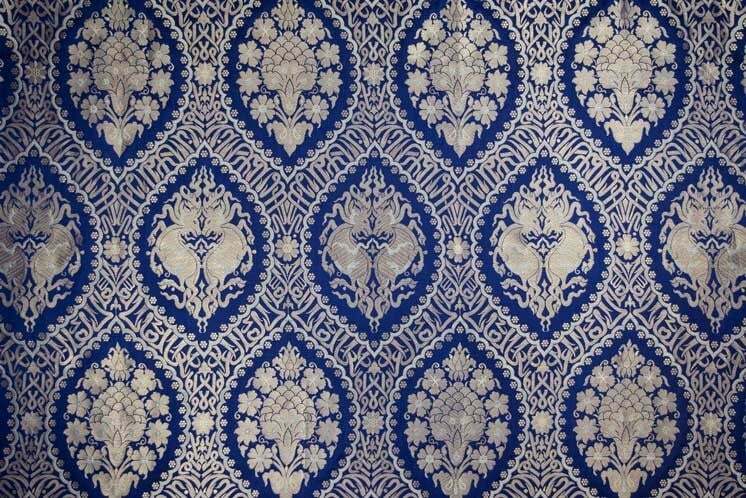 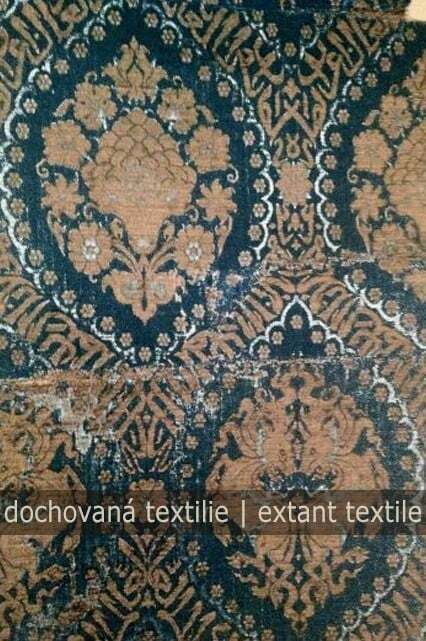 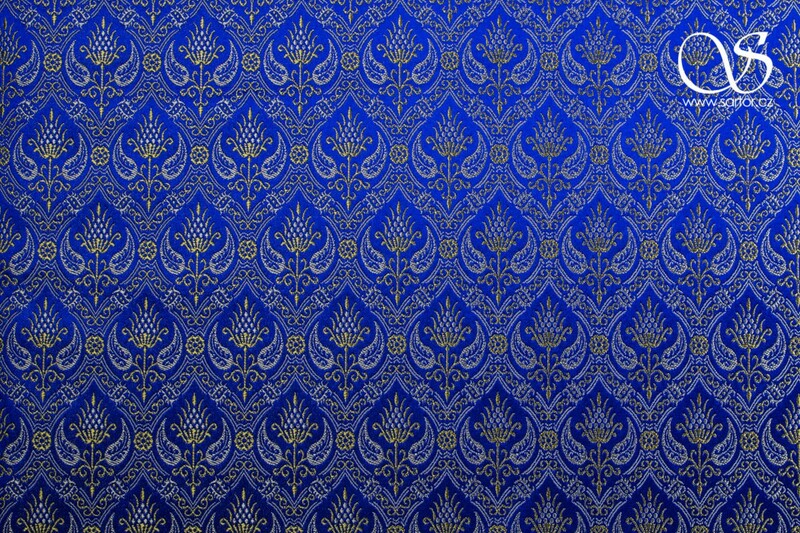 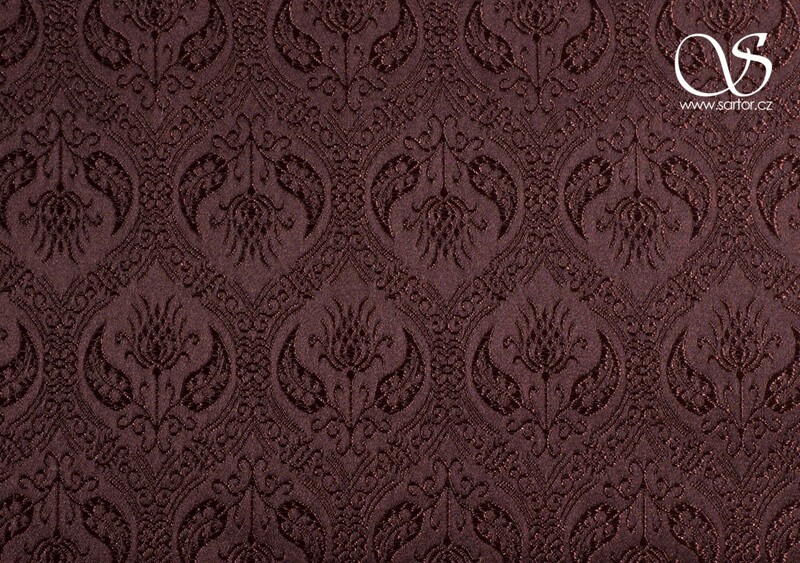 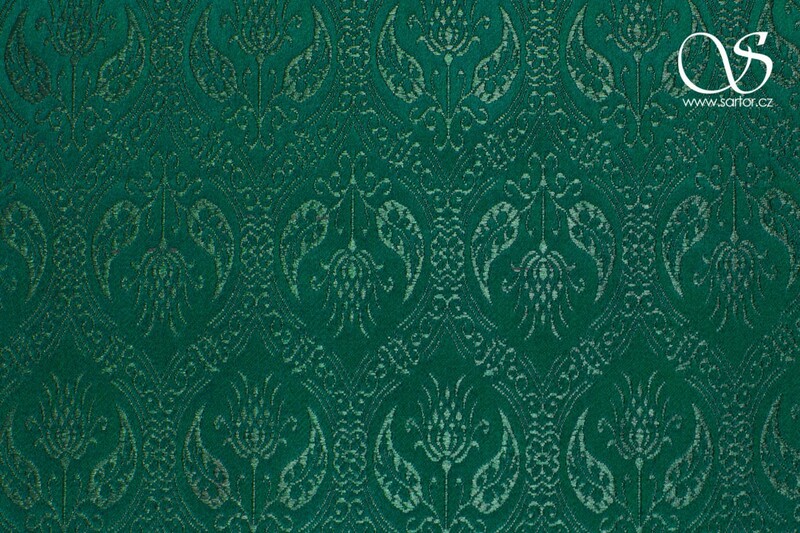 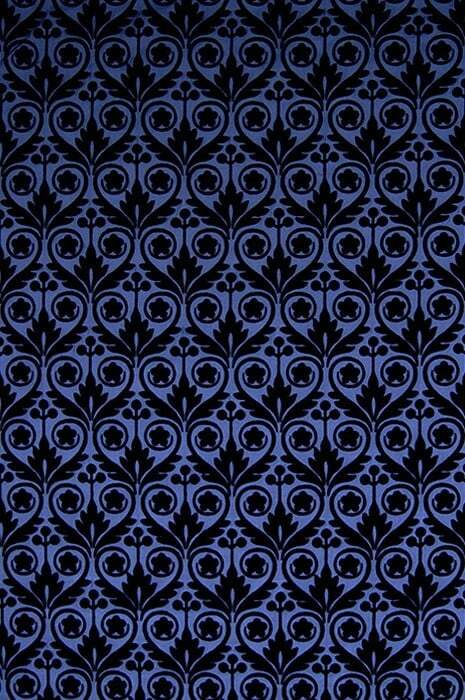 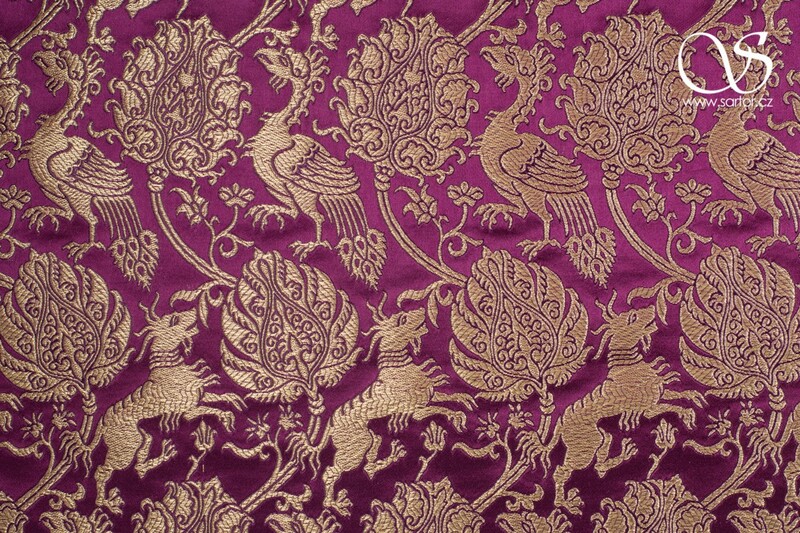 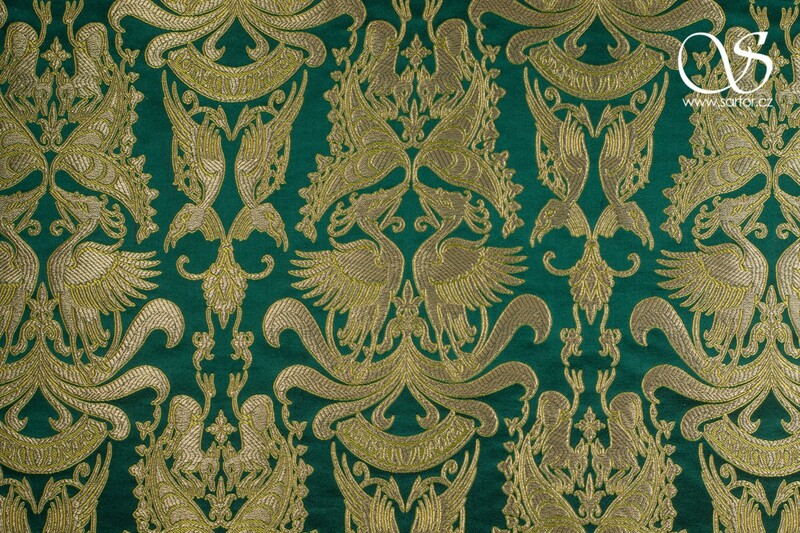 Our reproduction of a Persian brocade from mid-14th century. 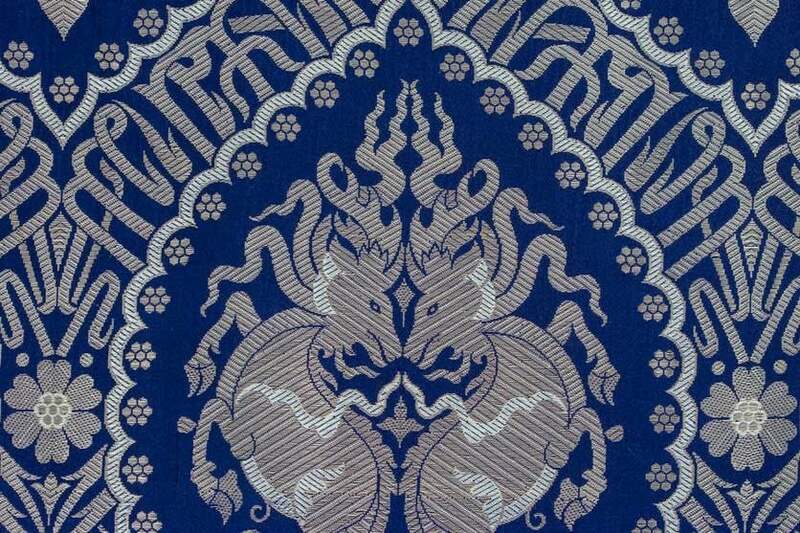 In the 13th century Persia joined the great empire of Mongols which made it the first country on an open export route to adopt new Chinese styles. 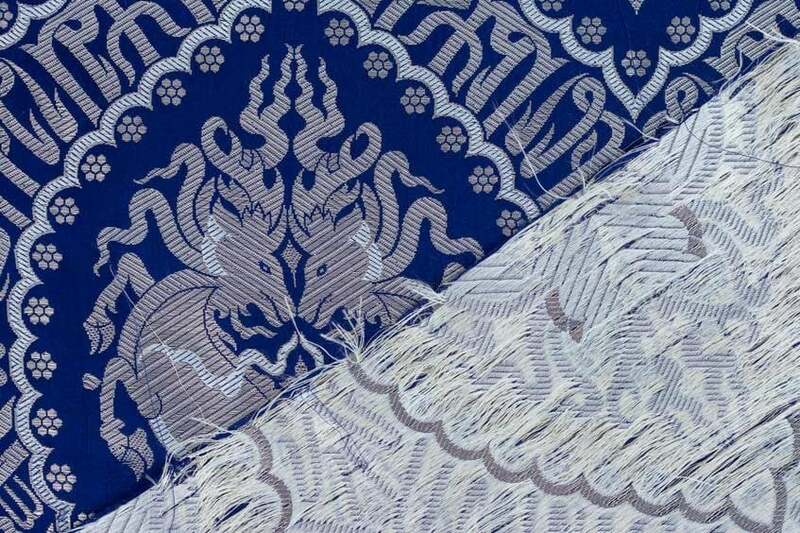 The once influential silk art of Islam played this time only a role of intermediary passing the trends of Chinese fashion to Italy. 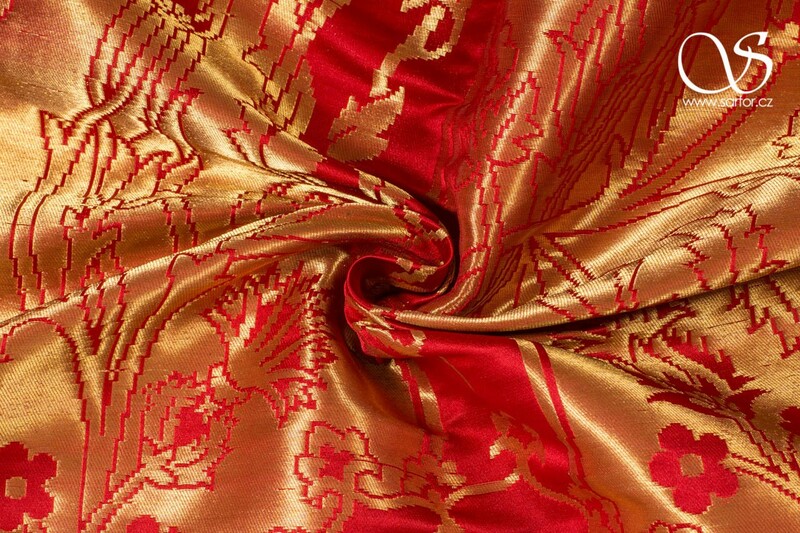 Silks in the East always influenced those made further west, occasionally vice versa. 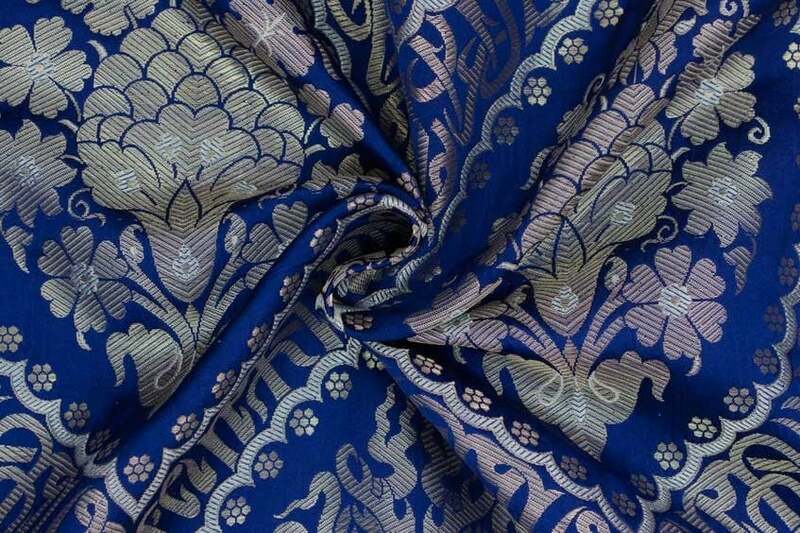 In this brocade we can see both. 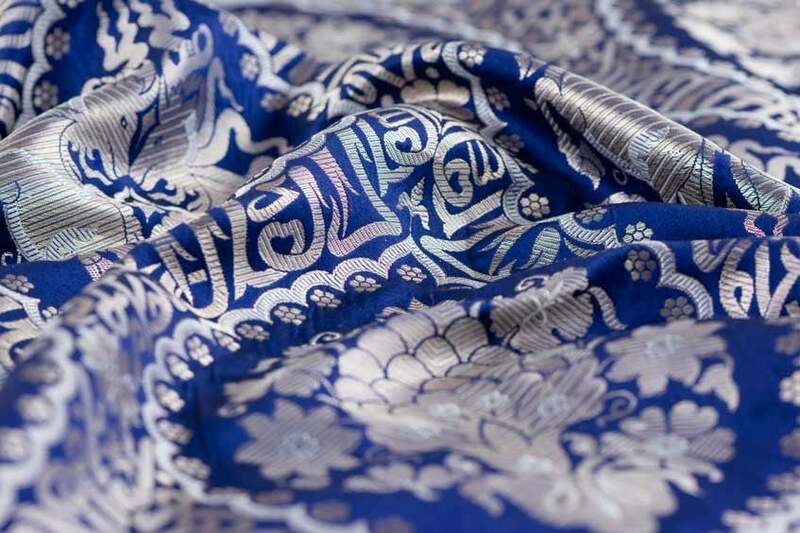 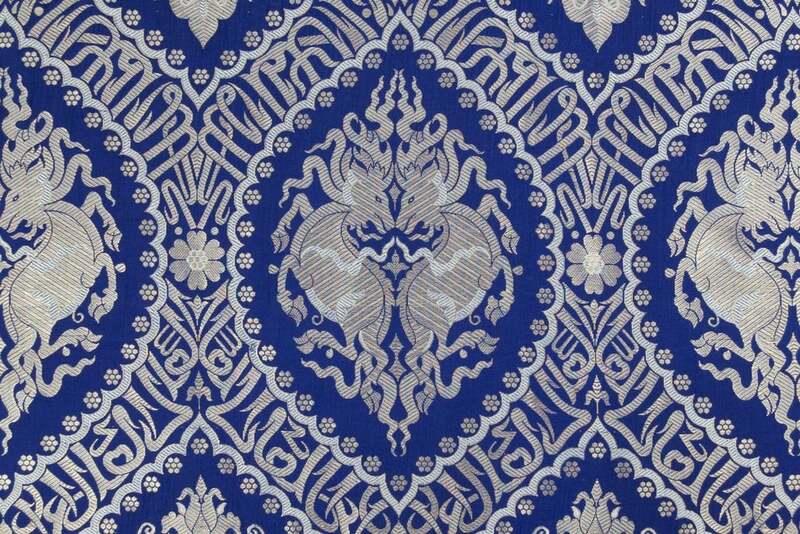 The pointed ovals were adopted from Chinese silks and strongly transformed the style of Persian and later Ottoman textiles. 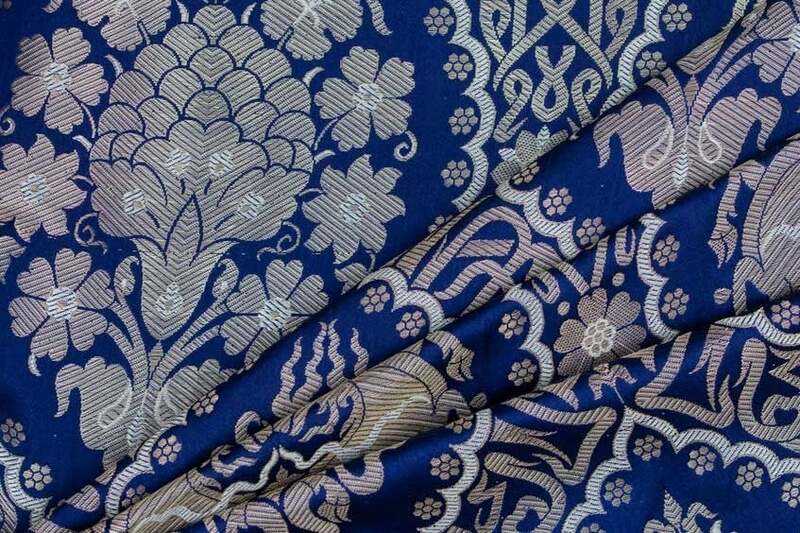 Chinese are also the mirrored qilins, symbol of prosperity or serenity, and composite bouquets while the surrounding grape leaves are unmistakably Italian. 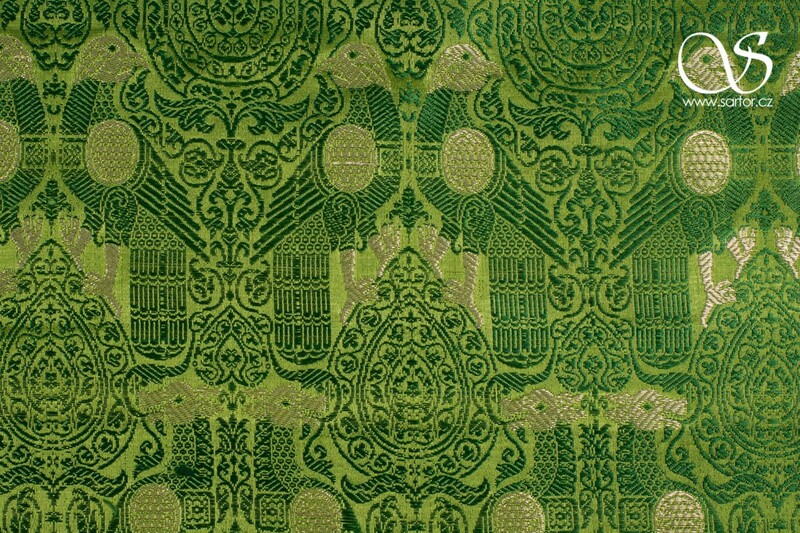 The whole pattern is connected by Arabic inscription containing words "The Sultan, the Wise" a titling of the Mameluke Sultans. 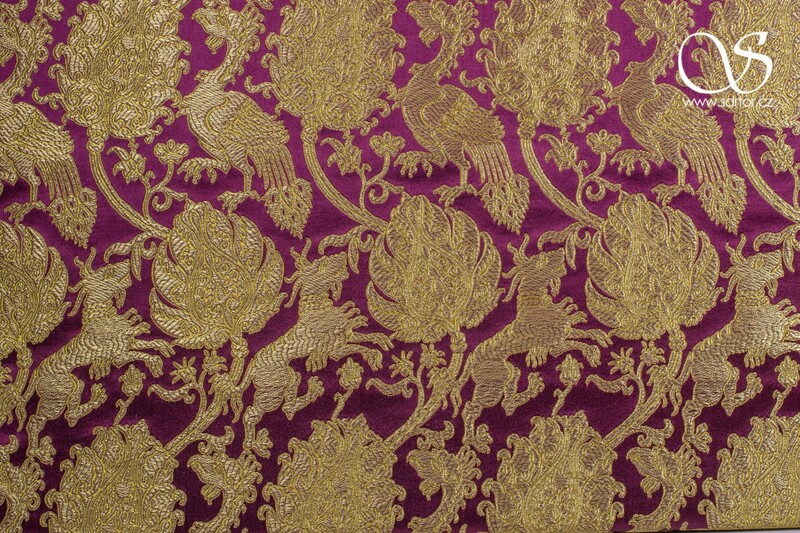 The original belonged to the Museum of Decorative Arts in Berlin, but it was lost in the World War II.